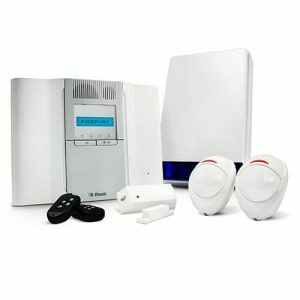 We can install Wireless Visonic Intruder Alarm Systems. Visonic’s PowerMax Complete is an innovative all-in-one professional grade wireless securitysystem for homes and small offices. It provides a complete, modular solution for all aspects of security, safety and connectivity. With Visonic’s market-leading range of wireless accessories,PowerMaxComplete provides homeowners with a comprehensiveblanket of security, safety and control covering all aspects of home protection – to safeguard everyone at home, as well as the building and contents.